Streamline user deletion and suppression to comply with EU General Data Protection Regulation rights requests. Issue deletion requests from a simple interface or use Segment’s HTTP API to delete a specified user’s data from Segment. Automatically delete user data from supported raw data Destinations or send deletion requests to compatible tools, like Amplitude, Braze, and Intercom. 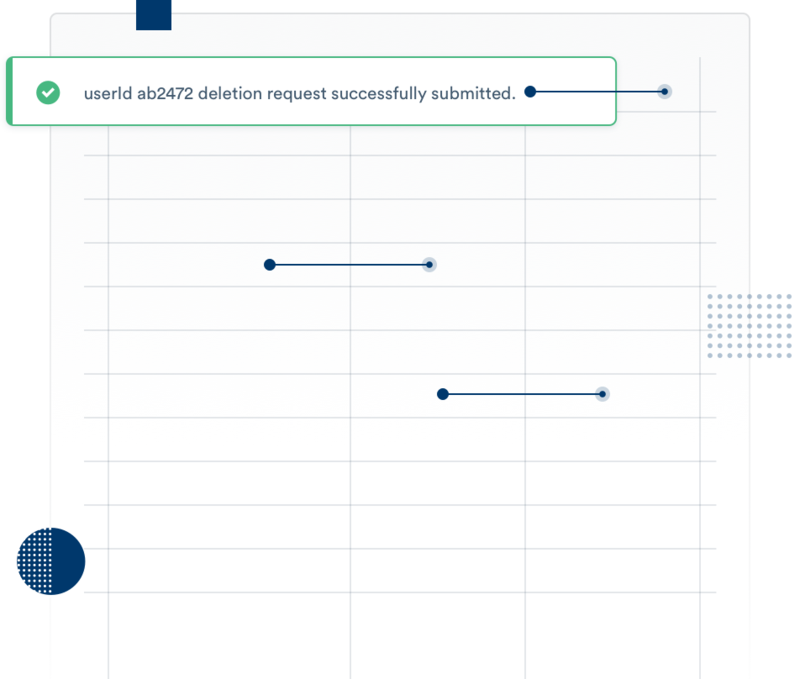 Get visibility into the progress of deletion requests to confirm when data is deleted, so you can update your users and your company. 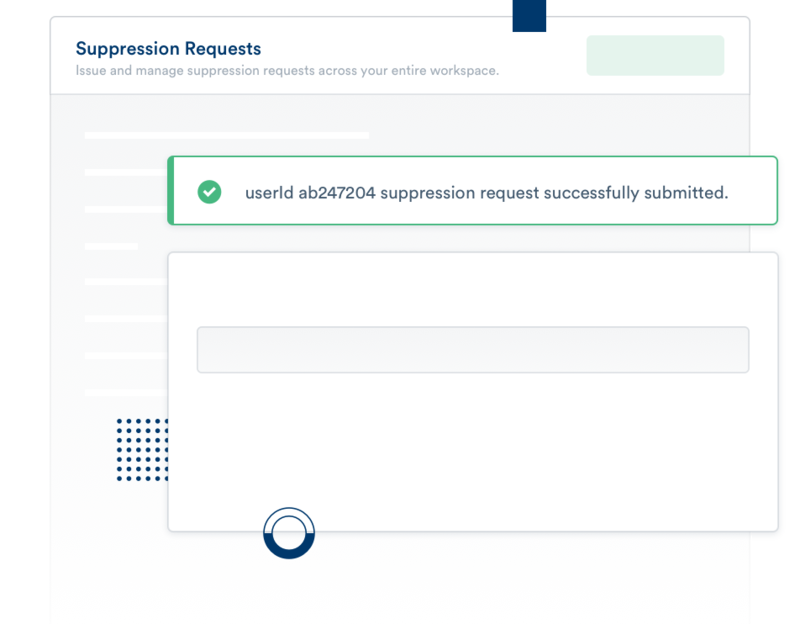 Issue suppression requests to restrict user data from being sent to Segment and Cloud-based Destinations. Use the suppression list to easily add or remove users if their preferences change over time. 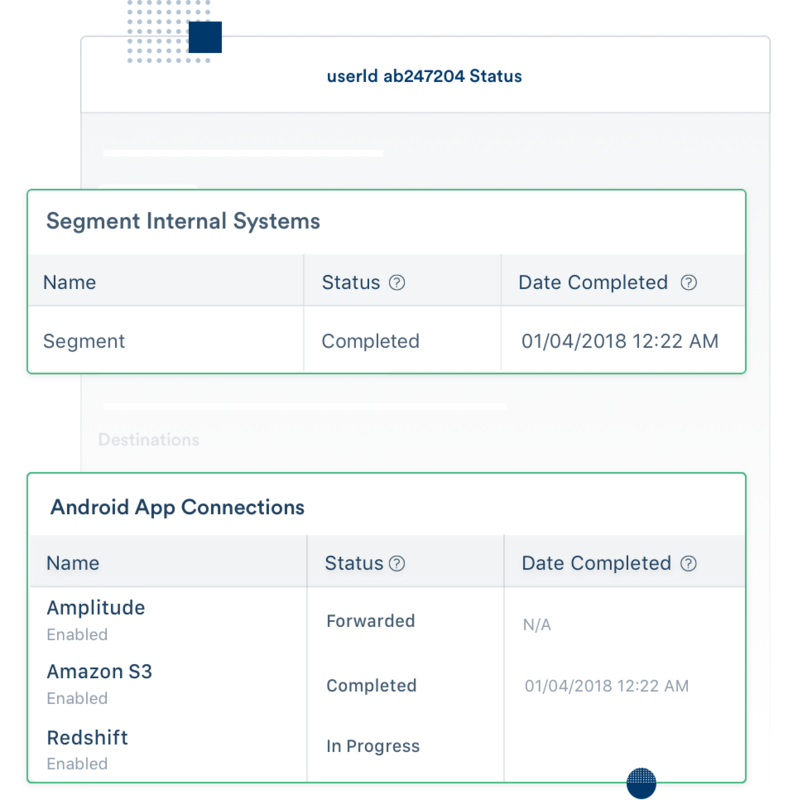 Enable a raw data integration or warehouse to organize data about a given user, so you can easily share it in a structured format if requested. Automatically update user profiles and traits in Segment and in downstream tools whenever new information is received. Our updated Data Processing Agreement (DPA) reflects the requirements of the GDPR. We offer the EU Model Clauses for compliant user data transfer and storage outside of the EU. Segment takes a holistic approach to security and privacy, and never shares or sells user data. Segment has appointed a Data Protection Officer to oversee our ongoing compliance efforts.